Saturday, April 15, 1865.Washington, DC. Surgeons maintain constant observation of President through night. About 2 A.M. Vice President pays call. Dawn finds Mrs. Lincoln and Robert still waiting in Petersen's house. James A. Bishop, The Day Lincoln was Shot (New York: Harper, 1955), 268. Dr. Charles S. Taft at bedside records his observations: President stops breathing "at 7:21 and 55 seconds in the morning of April 15th, and 7:22 and 10 seconds his pulse ceased to beat." Otto Eisenschiml, In the Shadow of Lincoln's Death (New York: Funk, 1940), 351; Henry J. Raymond, The Life and Public Services of Abraham Lincoln . . . 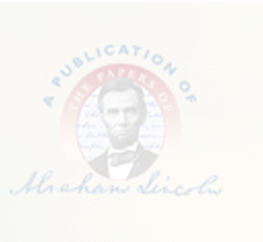 Together with his State Papers, including his Speeches, Addresses, Messages, Letters, and Proclamations and the Closing Scenes Connected with his Life and Death (New York: Derby & Miller, 1865), 783-801. Silence follows and is broken by voice of Sec. Stanton: "Now he belongs to the ages." John G. Nicolay and John Hay, Abraham Lincoln: A History, 10 vols. (New York: Century, 1890), 10:302.